Known as the City of the Blind, Chalcedon, in the Ancient Greek Legend which tells the foundation of Istanbul, Kadıköy is one of the most beautiful districts of Istanbul. If you are not one of those tourists who stop by Istanbul for a day only to visit, you should definitely add Kadikoy to your schedule for your second or third day. 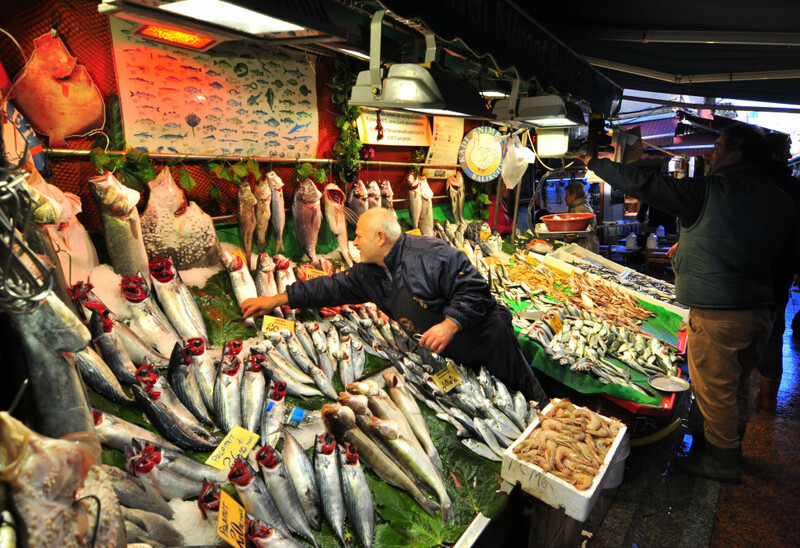 You can experience shopping like a local in Istanbul’s Kadıköy. 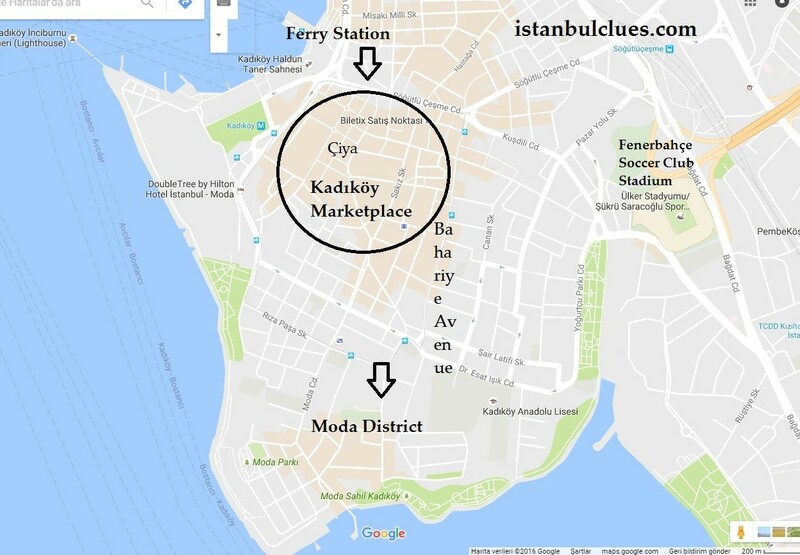 There are a few ways to go from Beyoğlu (New Town) or Sultanahmet (Old City) to Kadıköy. The primary method is through a ferry. 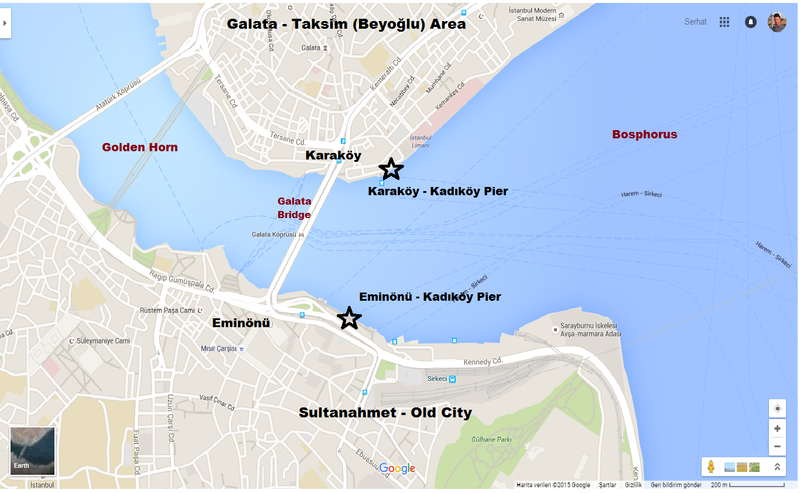 In order to go from Taksim (Beyoğlu) to Kadıköy, you need to reach Karaköy-Kadıköy ferry dock and get in a ferry that departs every 20 minutes. If you are coming from Sultanahmet (Historical Peninsula), you may reach Kadıköy ferry dock in Eminönü and get in a ferry that departs every 20 minutes. 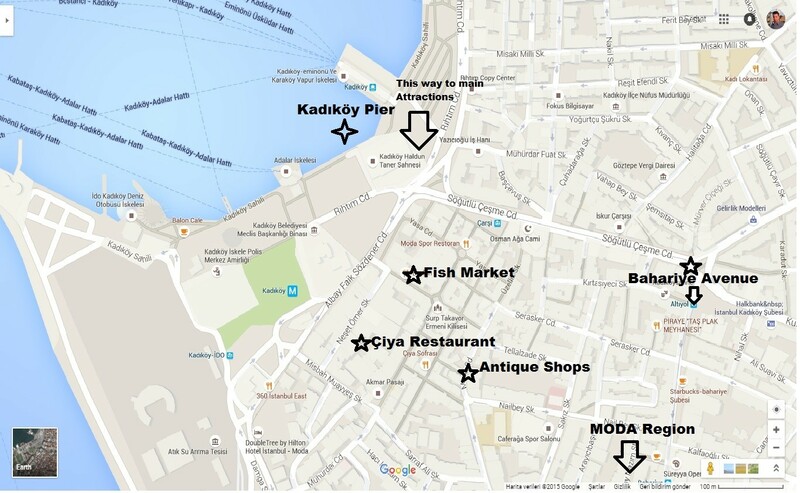 Once you arrive in Kadıköy, you can easily walk to Fish Market or Çiya Restaurant which is one of the best restaurants in the Anatolian (Asian) side of Istanbul. You can also visit Tellalzade Street which is a street of antique sellers and Bahariye Avenue by walking. After half a day of tour, you may walk to Moda which is a beautiful neighborhood of Istanbul, famous for cozy cafes near seaside and its ice cream. 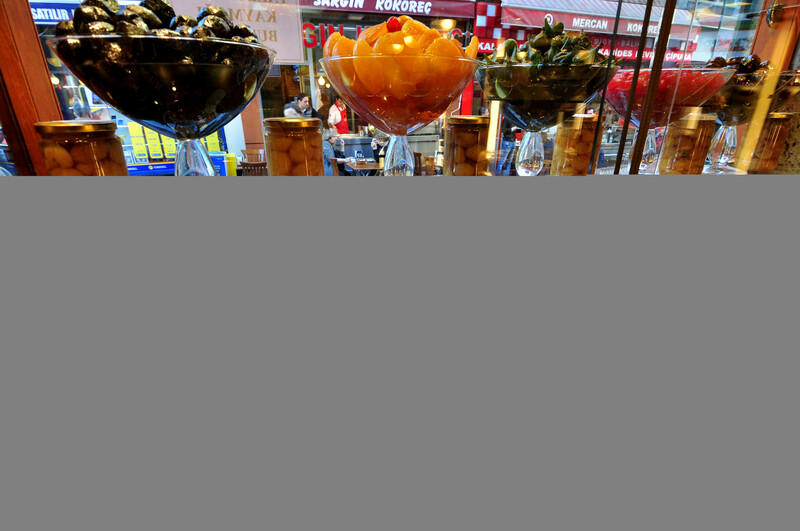 One of the most popular dessert shop in Asian side of the Istanbul. The shop is so busy that you can hardly find a table to seat. 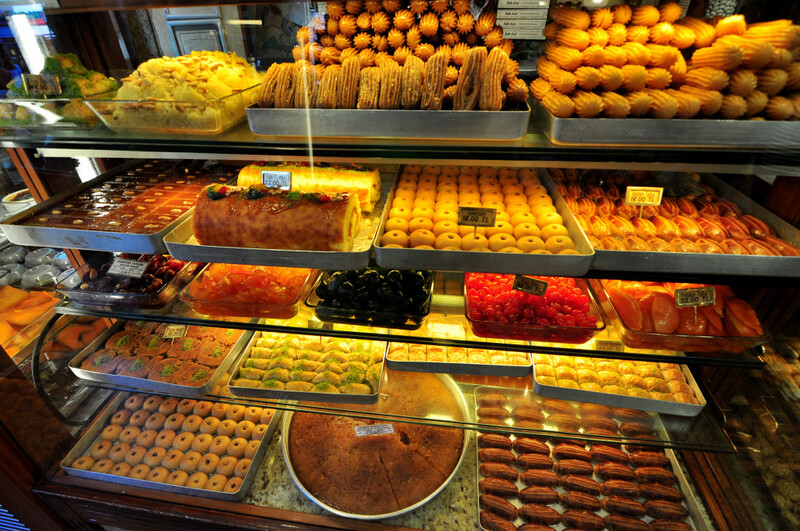 Eating some delicious Turkish Desserts in Cafer Erol one of the top Things To Do in Kadikoy. 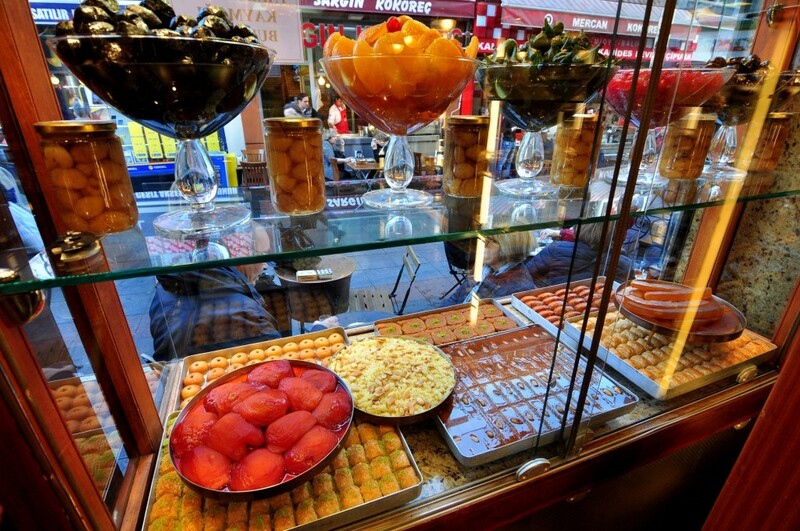 Şekerci Cafer Erol – Turkish Dessert Shop – Where to eat in Kadikoy? 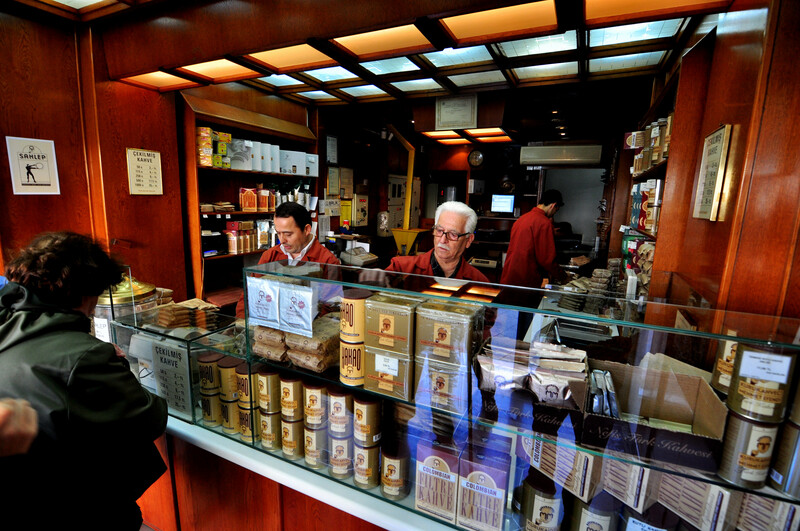 Here is Kurukahveci Mehmet Efendi, where you may find the best quality freshly grinded Turkish coffee. But we come here not to drink coffee but to purchase it. 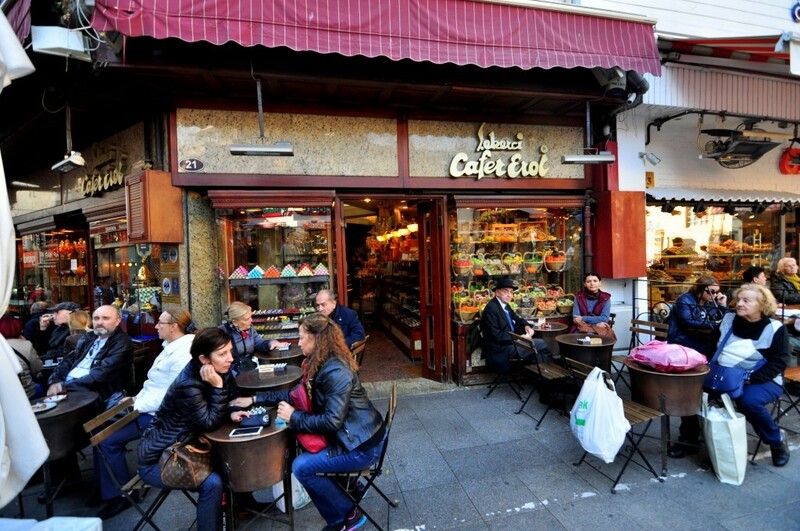 Best Turkish Coffee shop in the city is Kurukahveci Mehmet Efendi. 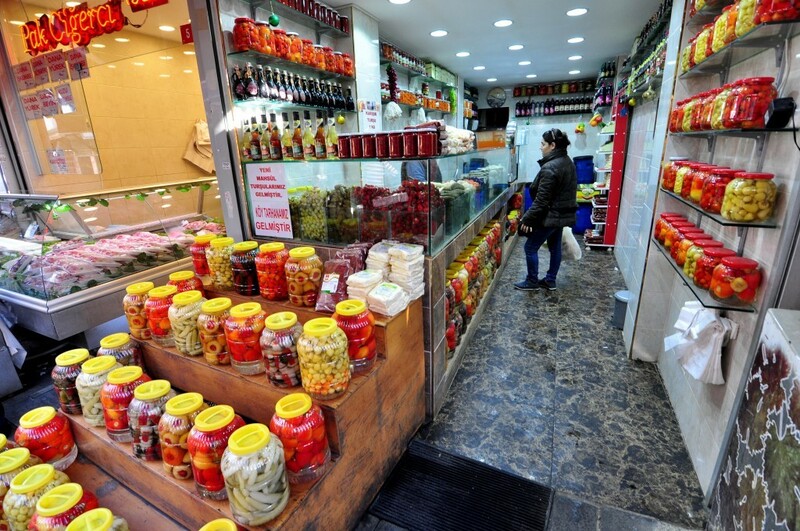 There are two original shops in Istanbul. One of them is next to Spice Market in Eminonu (Old City), the other one in Kadıköy. 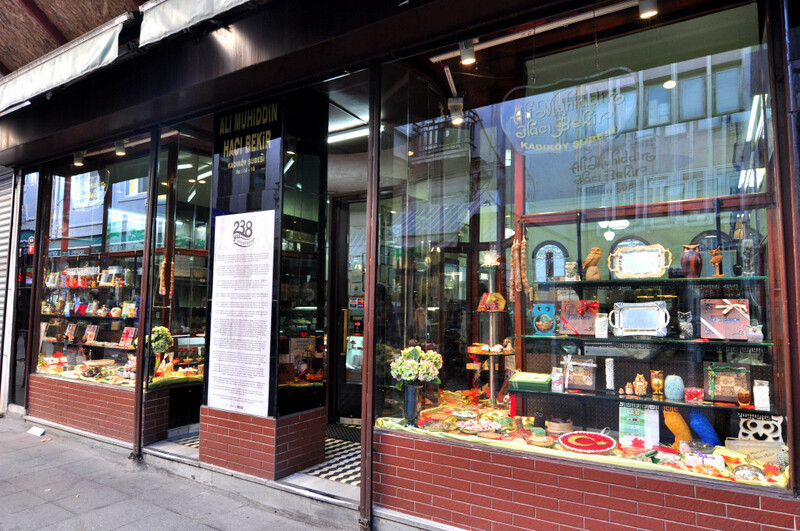 When it comes to Turkish delight, Ali Muhittin Hacı Bekir is the place to go. 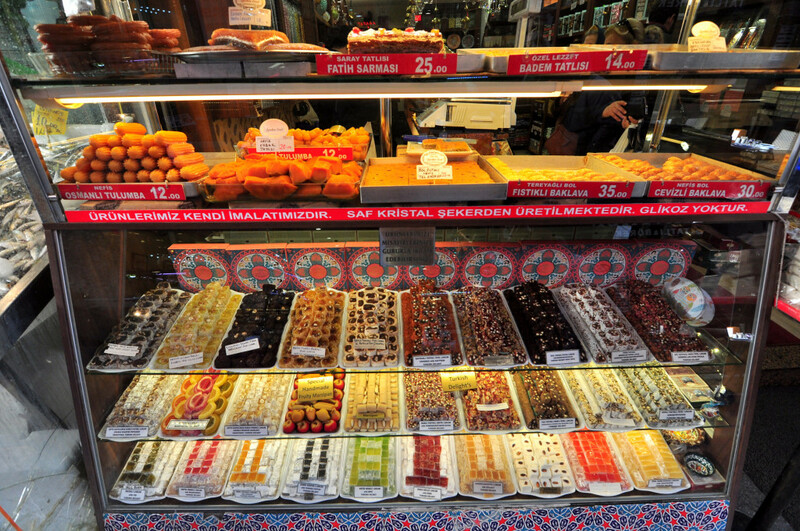 You can visit this oldest Turkish delight shop of Istanbul (since 1777) and taste many different variety of Turkish delights and candies. 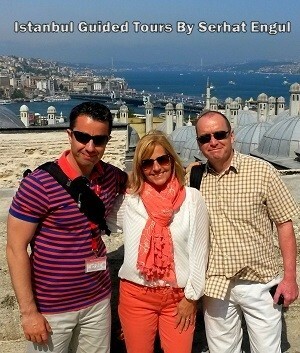 Well-established Orthodox families from Istanbul’s Byzantine times still continue to exist. Here is the great patisserie Baylan, famous for its profiterole, which is run by one of the famous Rum (meaning Roman) families. 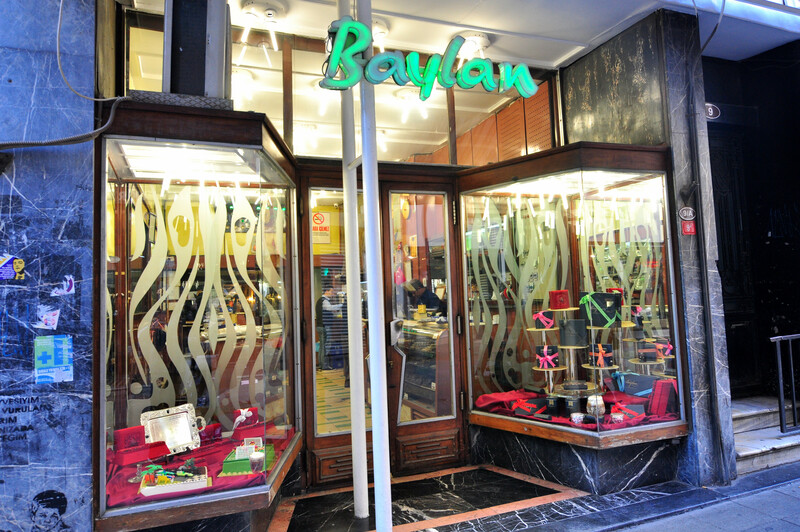 Here is the delicious Baylan Patisserie which is famous for its Profiterol dessert. This is Tellalzade Street, known as the antique seller street. 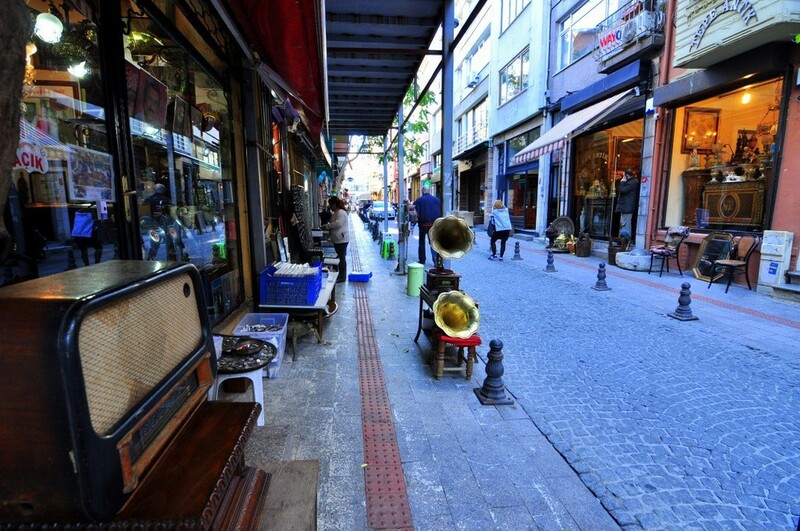 In this street, you will see small, cute shops selling antiques collected from old Turkish houses. Here is the best restaurant of Kadıköy, Çiya Sofrası. It is a place where you can find the most delicious local flavors. 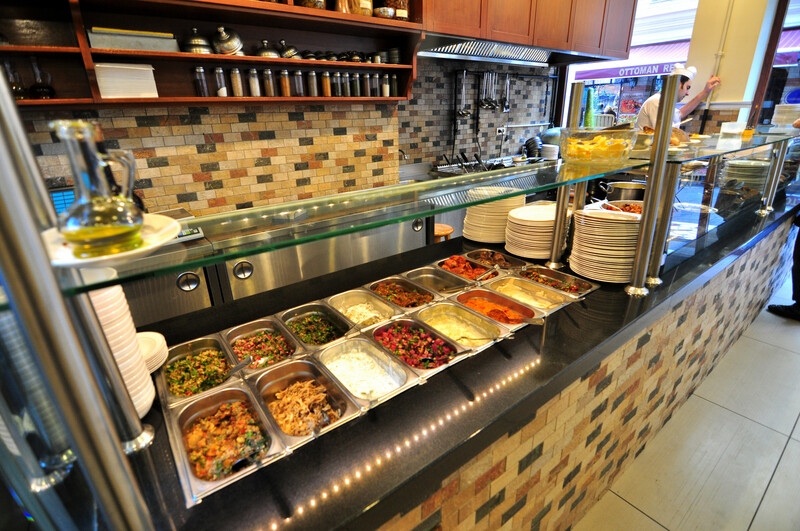 A delightful Turkish meze buffet and a great variety of Turkish kebabs will be waiting for you. There is a rich Turkish meze buffet. You may fill your plate with any meze you’d like and the price is calculated according to the weight of mezes you choose. Even filling the whole plate will not cost you much. Mezes are healthy and delicious. 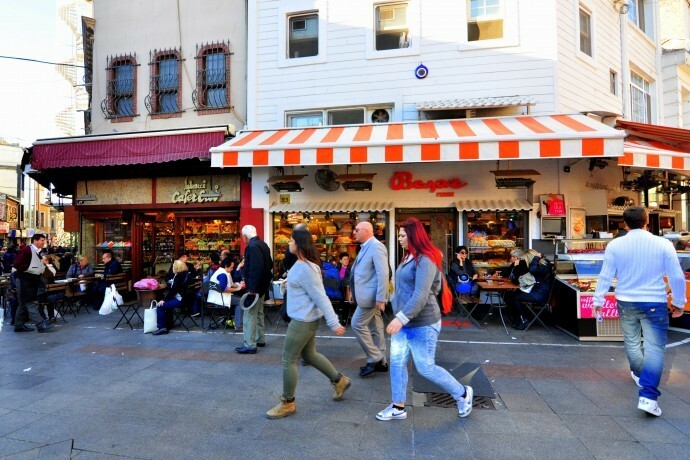 Don’t be surprised by seeing 3 Çiya Restaurants on the same street. 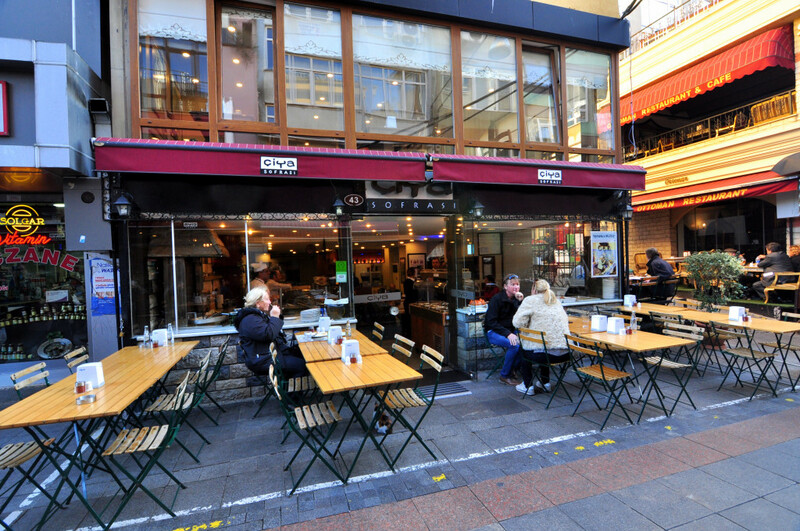 It is such a popular restaurant that there are 2 Çiya Kebab and 1 Çiya Sofrası restaurant on the street. 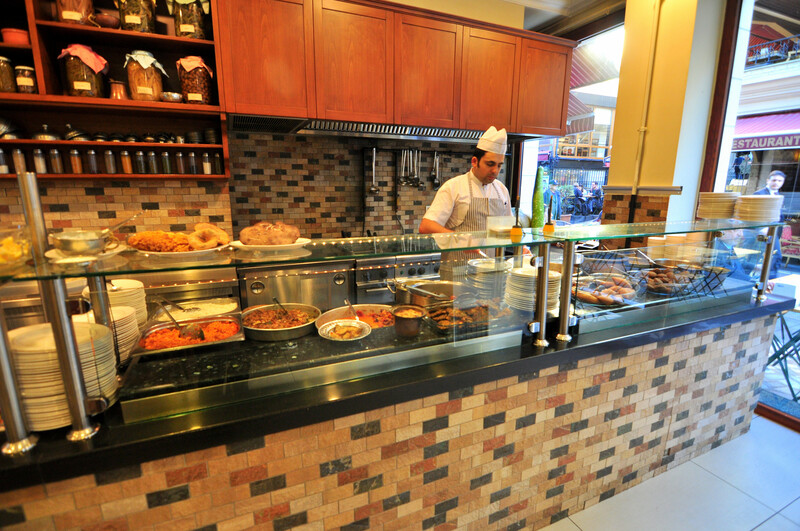 Çiya Sofrası focuses on regional flavors. Here you can find hot dishes and mezes. 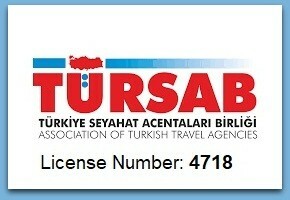 Çiya Kebap is a Turkish kebap restaurant as its name indicates. But the menus in all the three restaurants are the same so it would not matter which one you’d go. Eating in Ciya Restaurant one of the top things to do in Kadikoy Istanbul. 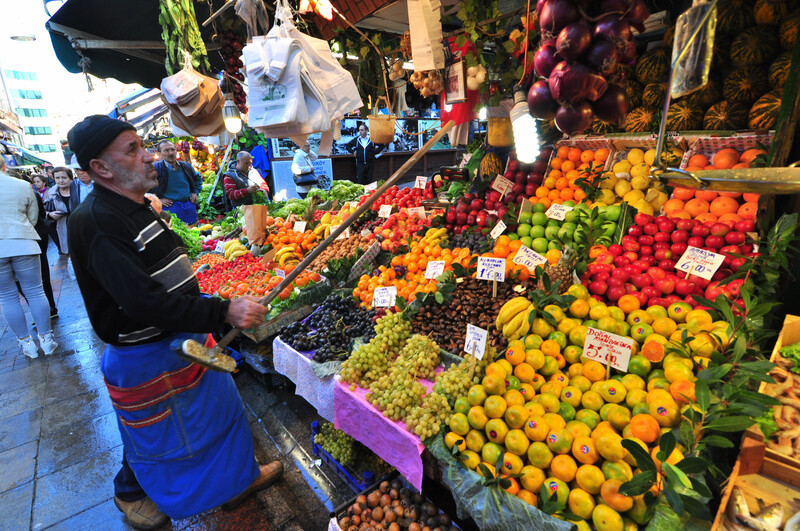 When you finish with the Kadıköy‘s marketplace, you may walk up to the Bahariye Avenue to see trendy shops of Istanbul. You may come accross either international brands like Nike, Adidas, Benetton etc. or some local brands like Mavi Jeans, Deriden, Hotiç. 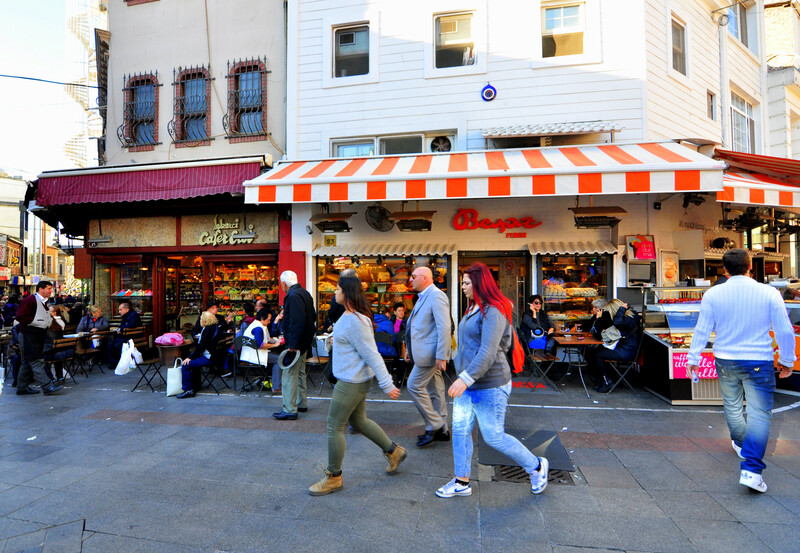 You can end your Kadıköy trip with a nice walk through Bahariye Avenue in the direction of Moda neighborhood. Moda is a cozy area to stop for a snack & coffee. There are nice trendy coffee shops around as well as some local Çay Bahçesi (Cheap Tea Gardens for crowded families). Ali Usta Ice Cream shop is one of the best local ice cream shop around the city. Hope you enjoy my hometown Kadıköy!